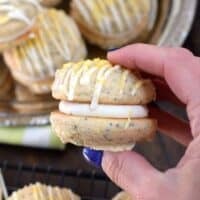 These Lemon Poppy Seed Whoopie Pies are a soft and chewy cookie with a sweet and tangy citrus filling! Your taste buds are going to sing! Mother’s Day is right around the corner. And as a mother of four, when I think about dessert for the special occasion, my mind always thinks about LEMON. I love everything about the sweet, yellow fruit! 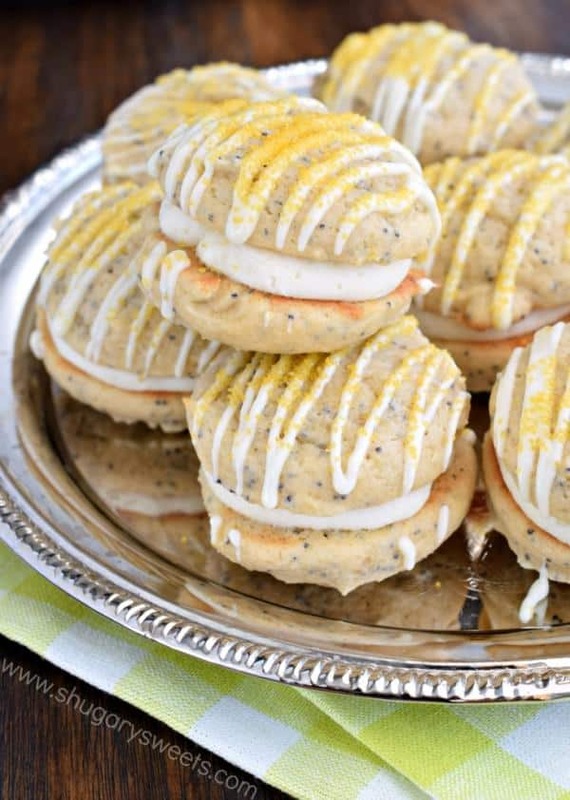 From the burst of yellow color, to the zesty tang of citrus, lemon desserts always remind me of Spring! It’s no secret around here that I have a plethora of Lemon Desserts on the blog. From cakes, cupcakes, bread and fudge…I’m sure you’ll find something you’ll love. 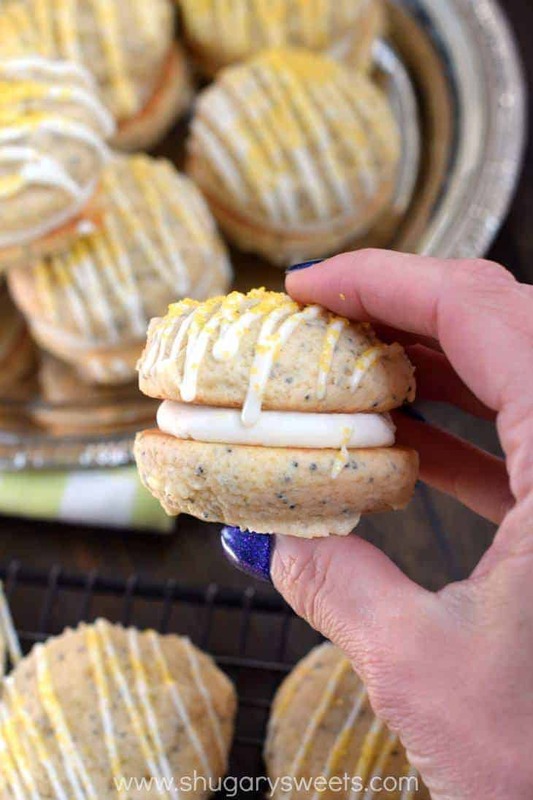 But, if you’re looking for something new , fun, and perfect for Mother’s Day brunch, you’re going to want to try these Lemon Poppy Seed Whoopie Pies. 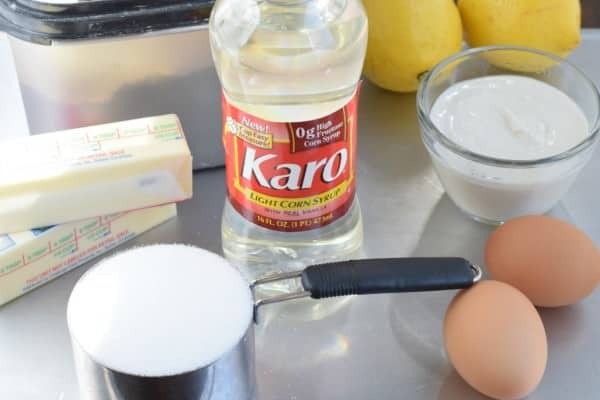 The original recipe for the cookies can be found on the Karo® Syrup website here. I did a little tweaking with the recipe and found these soft cookies are the perfect canvas for whoopie pies. 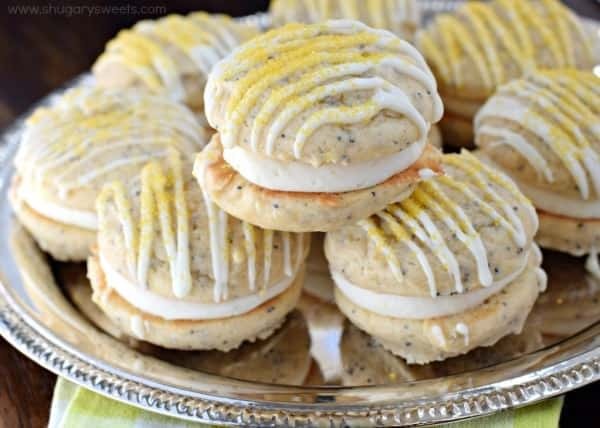 They remind me of lemon poppy seed muffins, but with a sweet, zesty filling! 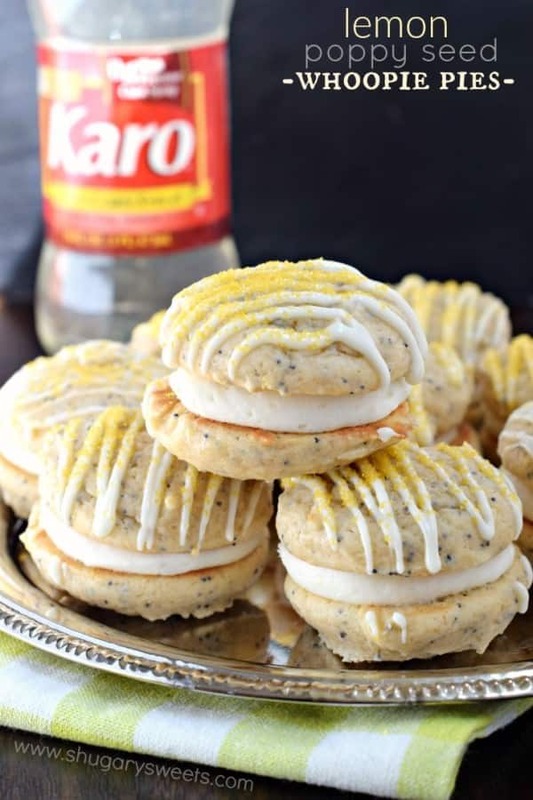 And the addition of Karo® Syrup gives these Whoopie Pies the perfect chewy texture! These cookies don’t spread very much. So when putting them on your parchment paper lined baking sheet, keep in mind the size you make will be the size of the cookie. I used a 2 Tbsp cookie scoop and it formed perfect domed cookies! Don’t overbake these cookies. You want to bake them just until the bottom edges begin to brown. For my oven it was 10 minutes, so keep an eye on them! To make the filling, beat your softened butter for about 2-3 minutes with an electric mixer until it turns pale in color. This will create a creamy filling! Add your sugar, lemon zest and enough lemon juice for the perfect texture (between 2-4 Tbsp). If you prefer a less lemony filling, use heavy cream or milk in place of the lemon juice. To add a little flair to your whoopie pies, drizzle some melted white chocolate over the tops. I spoon my chocolate into a resealable plastic sandwich bag and snip off the corner. Makes for an easy drizzle technique. Add some yellow sanding sugar sprinkles for that pop of yellow color! This recipe makes about 25 Whoopie Pies (or 50 individual cookies) which is perfect for sharing the extra cookies for mom and anyone else you feel could use a little extra appreciation. Baking is such a great way to show how much you care! Be sure to follow me on Instagram and tag #shugarysweets so I can see all the wonderful recipes YOU make! In a large mixing bowl, combine butter and sugar for the cookie dough. Beat at medium speed until well blended. Add in eggs, corn syrup, yogurt, lemon zest, and lemon extract. Beat until combined. Beat in flour, baking powder, and poppy seeds. Using a 2 Tbsp cookie scoop, drop tablespoons of dough onto parchment paper lined baking sheets. Bake for 10-12 minutes, just until the edges and bottoms begin to brown. Remove from oven and cool completely on wire rack. To make the filling for the whoopie pies, beat butter for 2-3 minutes until pale in color. Add in powdered sugar, lemon zest and lemon juice. Beat for an additional 2-3 minutes until smooth and fluffy. Using a plastic resealable bag, add filling. Snip off corner and pipe onto cookie. Add second cookie to make whoopie pie. If desired, drizzle with melted white chocolate and yellow sanding sugar. ENJOY.